Black and white. 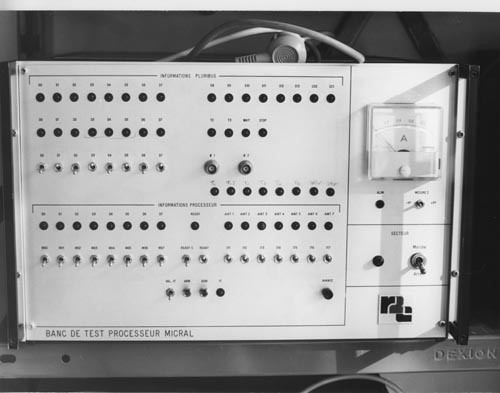 Image of Banc de Test Processeur Micral. The tester is in a cabinet opening with Dexion label. The tester consists of a meter and switches with indicator lights.